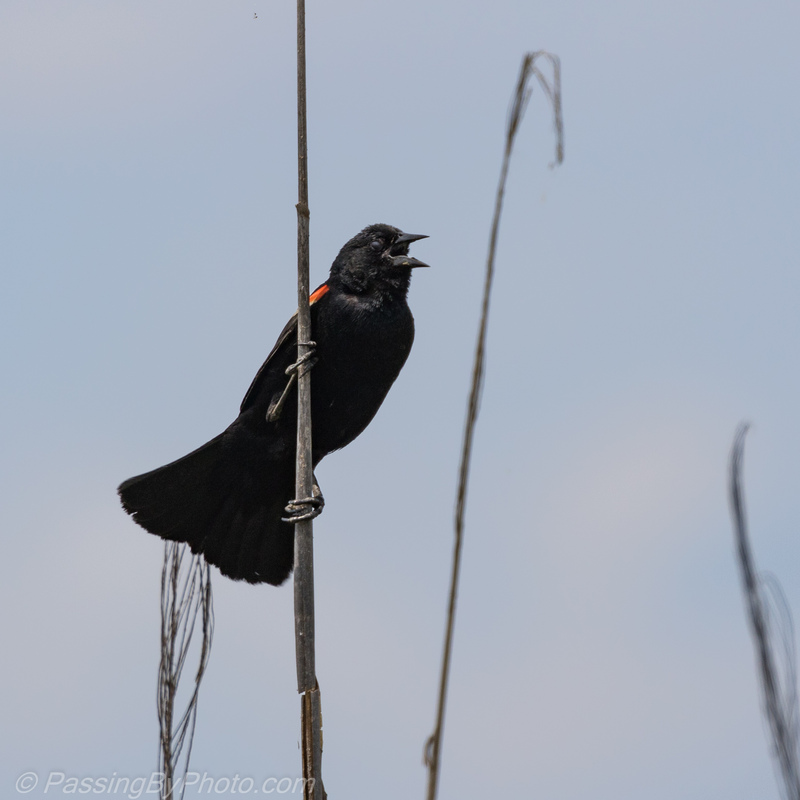 A familiar sight to many, the Red-winged Black Bird is found over most of the continental United States year round and extends its range into a big swath of Canada for the summer. 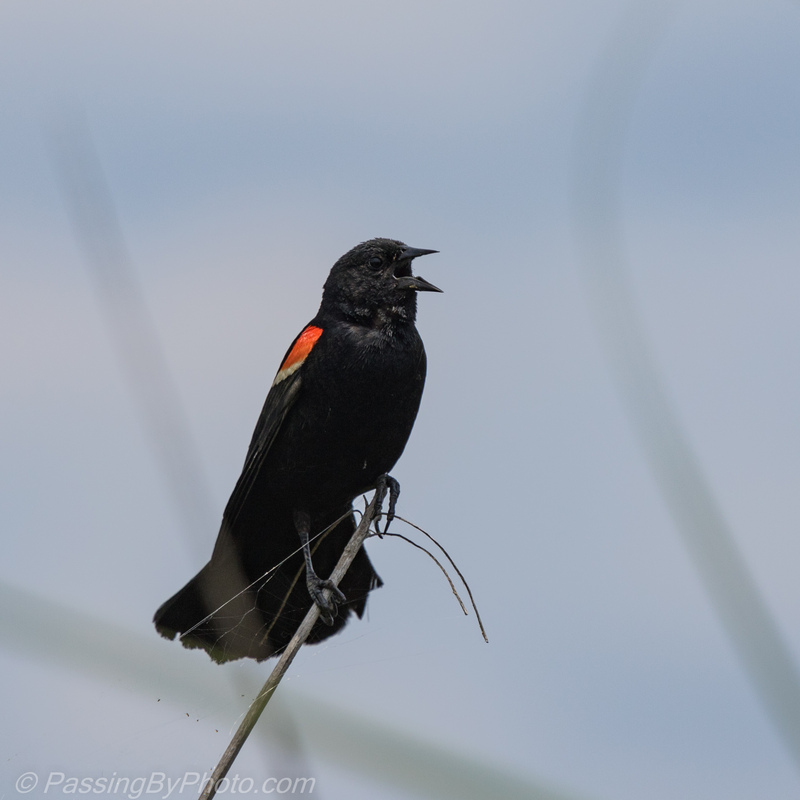 The males are always vying for attention with a flash of their shoulder patches and constant singing. 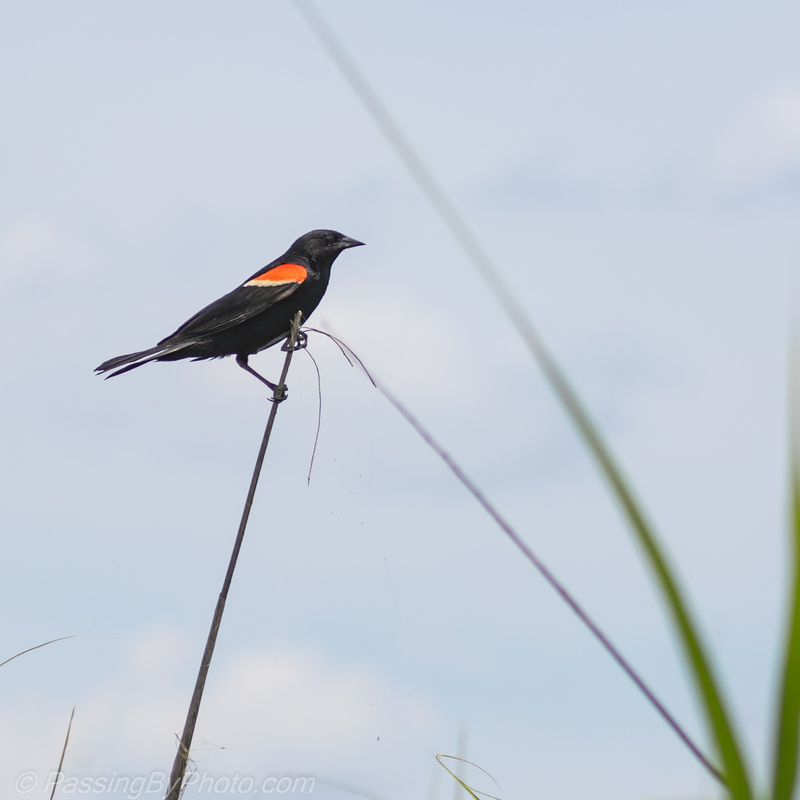 This one’s tail feathers flared out every time he called, something I hadn’t noticed before. On this rather dull day his eyes appeared as black as his feathers. Wonderful shots Ellen! They’re among the first spring migrants in our part of the country, I’m very fond of them. Thanks, Belinda! It always makes me smile to see that flash of red.